The Disney Den: New Cast Member Interview Series! 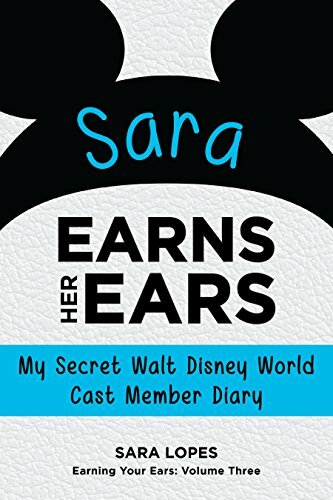 Many have asked if my friend Sara could write about her experience working at the Wilderness Lodge. I asked her if she would like to write something for you guys, and she was more than willing! However, since she doesn't usually write blog posts, she wasn't sure where to start. This had me thinking...why don't I make it in the style of an interview? Also, why stop with just Sara's experience? I went ahead and asked a few of my other roommates and friends if they would like to share their experience working in their roles (attractions, entertainment, merchandise, etc.). This way, my readers (and possibly future CP cast members) can see what it's like at different positions in Walt Disney World! With each CP, I'll be asking a series of questions about their job, experience on the college program, magical moments, and if they have any advice for future potential cast members. If you have any specific kinds of questions that you would like me to ask, let me know! I'll do my best to cover everything you'd like to know. If it's a pretty specific question for a specific role, I can include that in my friend's list of questions if they have not had their interview yet. Furthermore, if you're a past or current college program cast member and would like to be a part of this, comment below with your role and a form of communication (email, etc.) and I would be more than happy to send you the questions! Stay updated on when I post the interviews by subscribing! Also make sure to follow on Tumblr, Twitter, and Facebook! I did FA 2012 Concierge/Front Desk at Boardwalk and would love to be a part of this. :) (You can email me the questions at workwithbrianfarello@gmail.com) or just message me them on Facebook. Thanks!